When we left off, Arizona Secretary of State Ken Bennett had received from HI the anonymous mailing he describes as his requested “verification in lieu of certified copy.” Now, he declared he was officially out of the business of 2012 Presidential candidate Barack Obama’s authentication – “They have complied with the request and I consider the matter closed.” – because the document proved Mr. Obama was born in HI, notwithstanding as many of us know, in fact, it did no such thing. Pulling defeat out of the mouth of victory, this declaration by a Republican Secretary of State arguably constitutes game, set, and match for the eligibility obstructionists. Because now, despite the fact that we birthers know better; our detractors can rightly claim, the evidence is in: President Obama is a NBC. And they can justifiably dismiss as baseless any more challenges to his Constitutional eligibility by pointing to the fact, for the first time, a Secretary of State has proclaimed, based on word from HI; he is definitely a NBC. And, as a bonus, the SoS is a member in good standing of the Republican Party. In general, any birther can be credited with this ignoble defeat who has focused on proving President Obama is Constitutionally ineligible for the job instead of either 1) challenging how anyone who swore he was eligible (in a state with ballot eligibility laws) knew he was a NBC; or 2) spreading the word, his campaign’s release of the COLB in June 2008 and the long form birth certificate in April 2011 were both part of a political ad campaign. I have been warning you this could happen, ever since Orly Taitz corralled NH State Representative Rappaport into misapplying my ballot fraud principle; in this non-ballot eligibility state. Of course he dropped this. Because no NH law requires the candidate whose name appears on the ballot to be qualified for the job. When my work was stolen, the thieves joined together to apply my concept of election fraud to NH. Only, this was not an applicable state for the complaints of election fraud to the AG, filed in applicable states like HI, GA, MD, TX, SC, and VA. Plus, they took it to the SoS, a state constitutional officer with no jurisdiction into criminal matters but whose authority only extends to ruling on the validity of the ballot in NH according to NH law. Their charge? 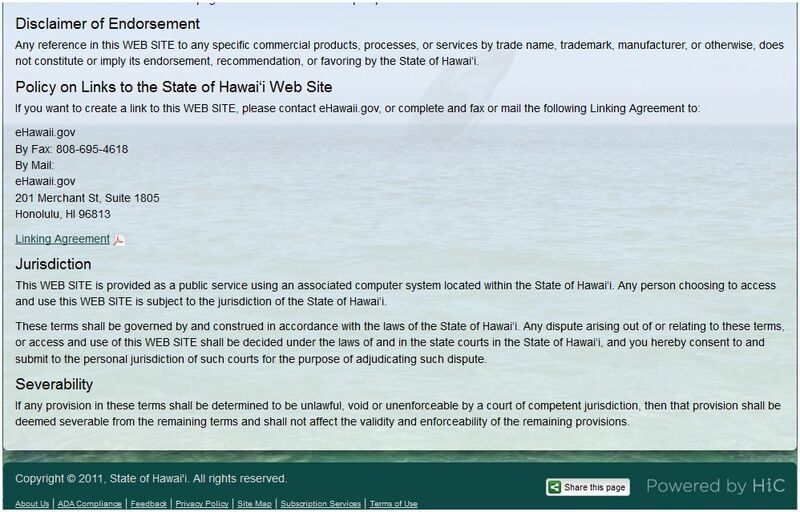 BO committed fraud when he signed the application to get his name printed on the Presidential primary ballot. Big mistake. Because charging him with fraud meant proving he lied. What I mean is, he knows whether he is a NBC. So, in order to go after him, you would have to prove, he lied. That’s why I went after anyone else who Certified he was a NBC, like Nancy Pelosi, or Boyd Richie. How did THEY know he was a NBC before Certifying he was, and sending that Certification to state election officials? By forging ahead with the concept they stole from me, these thieves almost blew our legitimate causes of action. What do you suppose would have happened if the NH SoS had ruled, there was no ballot fraud? (And there wasn’t, in NH.) The AG in TX, where there WAS fraud, could have said, ‘Well, the SoS in NH has determined there was no ballot fraud and so, as far as I am concerned, the case is closed.’ Thank goodness, all the NH SoS did was refer the complaint ostensibly lodged by the NH state Rep. – did you know he was a named Plaintiff in one of Orly’s cases? – to the AG, who would not touch it. Stealing my work is not only wrong on its face; it is also subverting the mission of that work. My readers are (or are becoming) educated voters. They have read the articles on my blog and asked questions. They sent in their complaints understanding what they were signing their names to. There is no shortcut here. You have to put in the time to become an informed voter. At least, you have to know as much about the system as those who would use their superior knowledge to have power over your lives. I am a State Representative in New Hampshire. On, I believe, November 20th, Representative Carol Vita, her husband and I spoke with Mr. Michael Delaney, the Attorney General of New Hampshire indicating our concerns regarding the eligibility of Barack Obama to be President of the United States. I had previously spoken with Mr. William Gardner, the Secretary of State of New Hampshire asking that he investigate. The contention with Mr. Delaney was that the Democratic National Party might have committed fraud upon the voters of New Hampshire. Both Mr. Delaney and Mr. Gardner declined. Mr. Delaney said he thought the matter was federal and that the complaint was a federal one. I would like to pursue this further, but while I certainly have the inclination, I have neither the financial resources nor the knowledge of how to do so. Consequently I would greatly appreciate advice of how to proceed. Thank you. Laurence Rappaport: Welcome. I have advised anyone reading this blog, until you understand at least as much about this election process as those with superior knowledge who would subvert the process to gain power over you; you cannot make a difference. I advise people who question BO’s Constitutional eligibility for POTUS to shift their focus away from him. He knows whether he is a NBC; but how does anyone else without access to the requisite documentation but who nonetheless swore he is Constitutionally eligible, know he is a NBC? NH is an inapplicable state for the purpose of filing a complaint of election fraud with the state AG, against various members of the D party, for swearing to state election officials BO is Constitutionally qualified to be POTUS to get them to print his name on the ballot, before ascertaining whether he is a NBC. Only in states with laws requiring the candidates whose names are printed on the ballot, must be eligible for the job, can such conduct be construed as election fraud. Then read “THE END GAME” on this blog. See, those of us who are questioning the election of BO want a full vetting of his eligibility status, assuming that, if the facts establish he is not eligible then, Congress will move to impeach him. 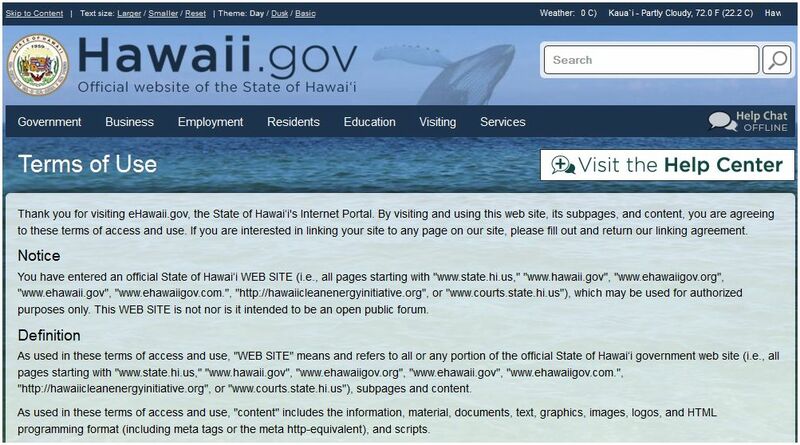 I had hoped these complaints would result in a ruling from a state AG that would be the impetus for Congress to act. Obviously, ‘educating’ even one member of Congress as to these issues could also work to spark such debate. But first, you have to know what you are talking about. Stop blaming everyone else for allowing Obama into office. …If you want to change things, stop bullying people into agreeing with your opinion and start working within the law. In NH, Obama complied with state election law. Even if he was lying when he took the oath. …Because as I pointed out on another thread, in NH, the law as written requires the election commission “shall” assume that any candidate fulfilling the requirements spelled out in law, such as taking the oath written in the law, has satisfied the legal filing requirements. Under NH law, all voting rights complaints must be filed with the state AG. So, the particular NH election officials (ballot commission) who refused to allow Orly’s complaint, were only doing exactly what they were required to do, by law, all unbridled protestations from the onlookers notwithstanding. In some cases, that is, where the matter is deemed not to be criminal, the AG can certify the complaint to be passed on to the ballot commission. But the first stop is the AG. I had to bring my ongoing ballot eligibility work ‘underground,’ willing to limit its availability to the general public so as to protect its integrity. Because unscrupulous thieves misappropriated the work, in hopes of self-aggrandizement and, in so doing, invited defeats which reflected poorly on the quality of my work. But despite the necessity; restricting the publication of my current efforts necessarily reduced the efficacy of that work. Even so, as ‘evidenced’ by what happened in Arizona; unscrupulous charlatans have found another way to derail any sound ‘birther’ argumentation. P.S. After months of intensive background work; we are about to launch another round of citizen complaints of election fraud, in one state. 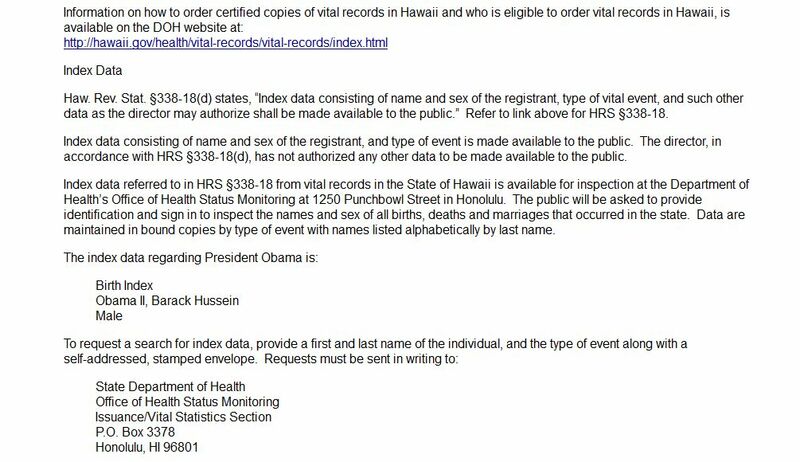 We might be too late to keep Mr. Obama’s name off the ballot; but we have plenty of time to get out the word, no documentary evidence available in the public record establishes he is Constitutionally eligible for the job. As if providing the facts that would drive the discourse of the 2012 election cycle away from fatuous fiction with respect to President Obama’s origins wasn’t sufficiently challenging; now, when he is turning the corner to what could have been a virtually guaranteed rejection of his bid for re-election, Constitutional huckster Sheriff Joe Arpaio -‘I never met a due process right I couldn’t deny’ – beguiled a duplicitous AZ SoS Ken Bennett into helping steer Mr. Obama over the finish line, aided and abetted in his siren song by his WND handlers, including Dr. Jerome Corsi; and a supporting cast of crazies. 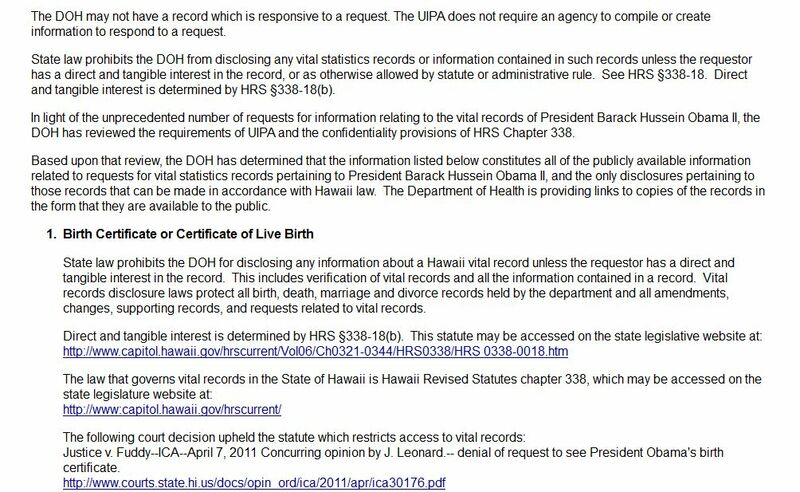 As Bennett rationalized to Mike Broomhead on KFYI radio; he requested a verification in lieu of a certified copy because, while he believes President Obama was born in Hawaii – “at least I hope he was” – his “responsibility as Secretary of State is to make sure that the ballots in Arizona are correct and that those people whose names are on the ballots have met the qualifications for the office that they’re seeking.” He explained that after the press conference held by Sheriff Joe Arpaio and his posse, in which Arpaio stated, the long-form birth certificate posted on the WhiteHouse.gov web site “might” be fraudulent; people began contacting his office. 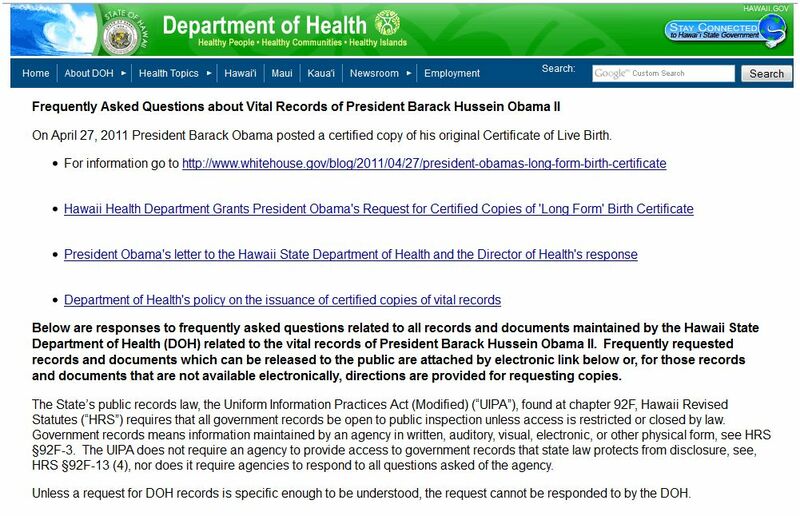 He had received about 1,200 emails from Arizona voters who are concerned about President Obama’s birth records, and felt it was his duty to follow up. Or, maybe he asked HI to confirm Obama’s credentials, for the reason printed in the Arizona Republic. “I was just trying to put this thing to bed and agree to a constituent’s request, which I’m allowed to do” …”This is a constituent from Arizona, whom I work for.” Perhaps not surprisingly, he never named the constituent. MOST IMPORTANTLY; NO LAW IN AZ REQUIRES THE PRESIDENTIAL CANDIDATES TO BE CONSTITUTIONALLY ELIGIBLE FOR THE JOB IN ORDER TO HAVE THEIR NAMES PRINTED ON EITHER THE PRIMARY OR GENERAL ELECTION BALLOT, ANYWAY! And no law in that state requires Electors to vote only for Presidential candidates who are Constitutionally eligible for the job. In other words, Bennett had no duty to determine Mr. Obama’s Constitutional eligibility! Besides, people have been asking S’soS in all 50 states, including AZ, to verify Obama is a NBC, since 2008. Why confront HI now? Rather, what makes sense is that Bennett is pandering to the fringe, believing this will help his presumed gubernatorial bid in 2014. 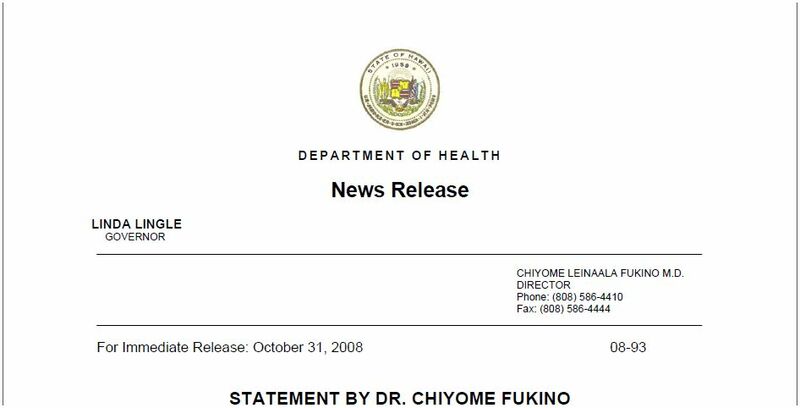 In his present position as Secretary of State; he would have better served the citizens of AZ had he understood the difference between a bona fide identification document generated by the issuing authority (DE-CODER RINGS (1 of 2) and (2 of 2)) and a paid political announcement; and explained this difference so as to inform the voters (to say nothing of the disservice to the state’s campaign for presumptive R Presidential nominee, Mitt Romney, for whom he is co-chair). 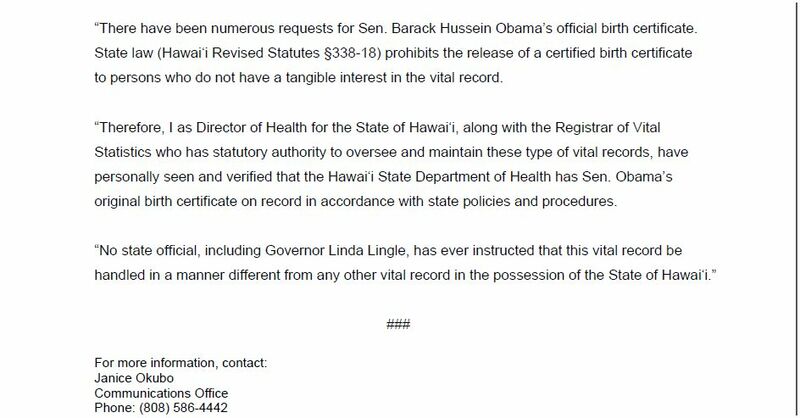 Officials from the Offices of the HI AG and the Department of Health began corresponding with Mr. Bennett so as to establish whether he had a legal right under HI law to the verification requested. If so; then, they would provide the requested verification. 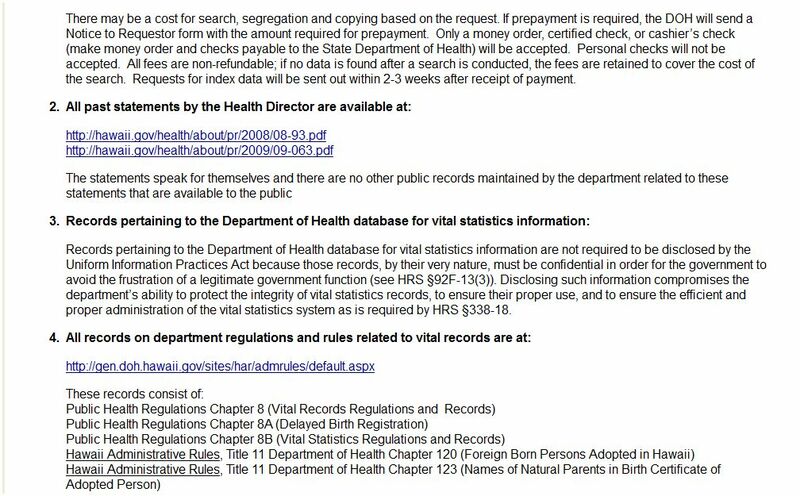 TPM (Talking Points Memo) obtained this correspondence from HI through a public records request (based in HI law). 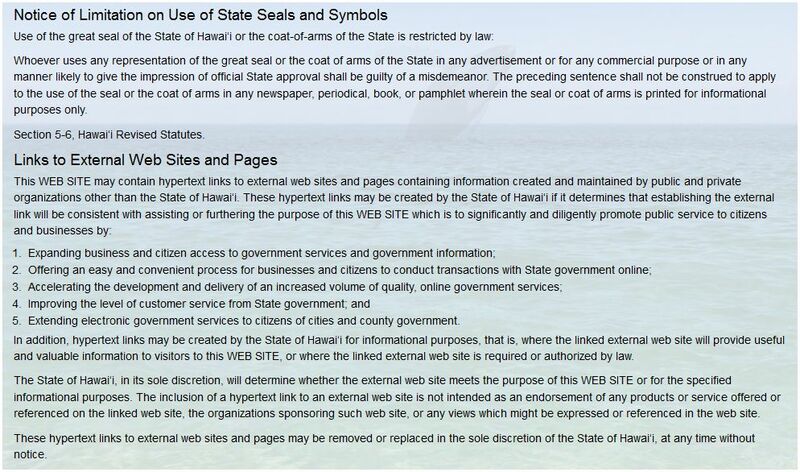 Reading the exchange; it appears that HI asked SoS Bennett to prove it satisfied one of the exceptions listed in their law for breaching the confidentiality of vital records; and Bennett, try as he might, could not reach the level of exception. Indeed, the last letter from HI makes clear, he had not established to their satisfaction, his right to obtain such verification. Nevertheless, immediately thereafter, they transmitted that “verification in lieu of a certified copy,” a mere 8 (eight) weeks after he first asked HI – using whatever form – to provide this verification. Nevertheless, notwithstanding these obvious fatal faults with the legitimacy of this ‘verification in lieu of a certified copy’ process; several media outlets have touted the production by the anonymous HI signatory as ‘proof’ of President Obama’s Constitutional eligibility for office. That is, this confirms his HI birth. Oh, sure, it does no such thing. But that has not stopped such claims; and it serves Bennett and the bumbling Birthers who incited his quest, right.